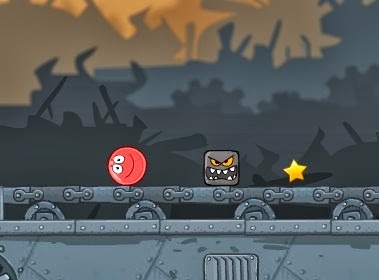 Red Ball Volume 3 is another new platformer physics based puzzle game from notdoppler. Roll and jump your way through a deadly factory riddled with dangerous enemy blocks, lasers and pitfalls. This game offers a really good platforming gameplay experience but it also presents lots of decent challenging jump puzzles which will inevitably have you go through a lot of trials and errors. If you think beating this game impossible due to it's level of difficulty learn from the Red Ball 4 Volume 3 walkthrough laid out below the techniques you have to do.